Normally conditional sentences are called conditionals. These sentences usually contain the conjunction IF. Sometimes they are called 'if clauses'. The real conditionals express factual or habitual conditions which have the possibility to occur in the future or generally occur in the present. I’ll go if you give me the ball. If I feel better, I’ll certainly play. If you do well in the exams, I’ll buy you a gift. If + subject + simple present tense + subject + will/can/may/must + verb in base form. . . If I have the money, I will buy a new phone. I can make you cry if you keep doing that. If he goes there, he may get robbed. If you go outside, you must wear heavy clothes. If + subject + simple present tense + subject + simple present tense. . .
Subject + simple present tense + if + subject + simple present tense. . If I have the money, I always buy the necessary things. If Alex gets a break, he usually calls me. He works hard if the payment is good. If + subject + simple present tense + command form (simple present) . . . . .
Command form (simple present). . . . . + if + subject + simple present tense. If you have the money, use it wisely. Please call me if you get a chance. The unreal conditionals express hypothetical conditions which have no possibility to occur in the past, present or future but describe what could/might have occurred supposedly. If I were rich, I would travel my whole life. If I had a car, I could go anywhere. If we had not missed the train, we would have reached the city. If + subject + simple past tense + subject + would/could/might + verb in base form. . . If I had the money, I would buy a new phone. If I were the president, I would not support war policies. If he were not ill, he could come with us. If I could play tomorrow, I would definitely win the match. If I had played well, we would have won the match. I could have caught you if you had been a little closer. If he had written well, I could have given him a better mark. Note: There is another structure of unreal conditional which does not use the conjunction if. Had replaces ifand creates a conditional sentence. Had I reached earlier, I could have caught the train. Had she found the watch, she would have told me. 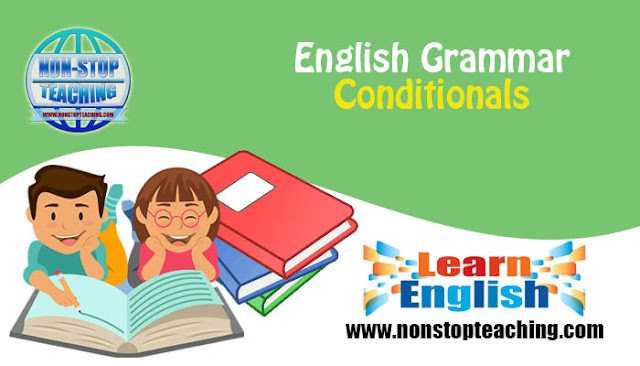 There are mainly two types of conditionals: The Real Conditionals and The Unreal Conditionals Normally conditional sentences are called conditionals. These sentences usually contain the conjunction IF. Sometimes they are called 'if clauses'.